Welcome to the University of California Rangelands Archive! The UC Rangelands Research & Education Archive provides access to rangeland and pasture information, including more than 700 archived publications and reports. The rangeland and pasture publication archive includes reports dating back to the late 1800s. The Ecology and Management of Grazing online course examines the relationship between vegetation and grazing animals in rangeland ecosystems. 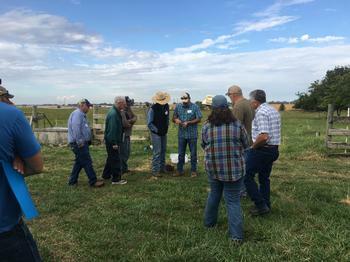 UC Rangelands hosts the most recent information on UCCE research on California's grazingalnds. >>More. The 72nd Society for Range Management Annual Meeting will be held 10-14 Feb in Minneapolis, MN!